Do you live in Toronto? Do you take the Toronto Transit buses often? Do you have a Windows Mobile 5 device such as a smartphone, PDAPhone, or plain old PDA? If so, then Pocket TTC Bus Schedules from AvBrand is for you. What is the Pocket TTC Bus Scheduler? The Pocket TTC Bus Scheduler is an easy and fast way to view how long you'll be waiting before the next bus shows up at your stop. Is there time to run and grab a coffee? Now you'll know, with only 3 taps of the stylus. Well, first, check out this fully functional simulator. 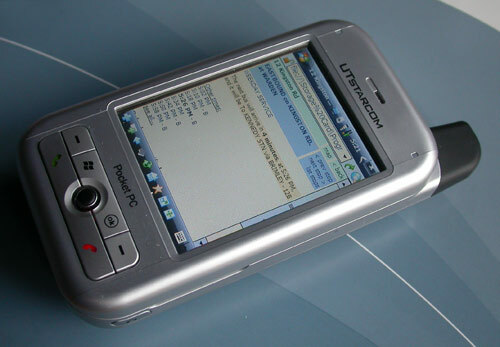 It's a good example of how the application works on your Pocket PC or PDA. You simply choose the appropriate bus route, then the stop, and instantly you know how long it will be until the next bus arrives. No data plan or internet connection required. Information pages count down and always show the latest bus, even if you leave them open. Choose to view only a certain bus, instead of all buses -- if you just need to get north of Steeles. View the entire schedule for the route in a format that's clear and easy to understand. The Pocket TTC Bus Scheduler is free! Currently, only Windows Mobile 5 devices are supported, but you are welcome to try the application on Palm or Blackberry devices. About 17mb of storage space is required. I recommend installing onto a removable storage card. To install: Unzip the .ZIP and copy the files onto a folder on your device, on the external storage card. To use, open "index.html" in the pocket web browser. I'd love your input on this project. Please contact me with problems, ideas, and suggestions!